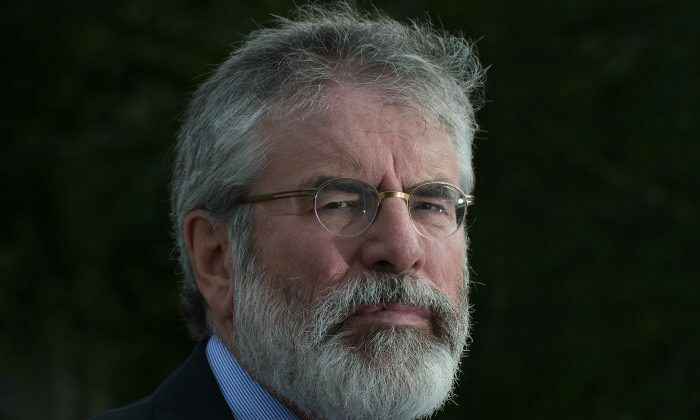 Secret Service apologizes to Sinn Fein President Gerry Adams. The Secret Service apologized to Irish politician Gerry Adams on March 16 for denying him entry to a St. Patrick’s Day celebration at the White House the day before, blaming an administrative error. “Unfortunately, an administrative input error received by the Secret Service was not able to be rectified promptly,” the Secret Service’s statement read. Adams is the leader of the Irish political party Sinn Fein, and a member of Irish Parliament. He has been attending the St. Patrick’s Day celebration since the 1990s when he was resolving conflicts in Northern Ireland. Sinn Fein will not sit at the back of the bus for anyone. Sinn Fein has a long history, starting as the political extension of the Irish Republican Army, a group that Adams has denied involvement with. It is the second largest political party in Northern Ireland, and stands in opposition to the Republic of Ireland.